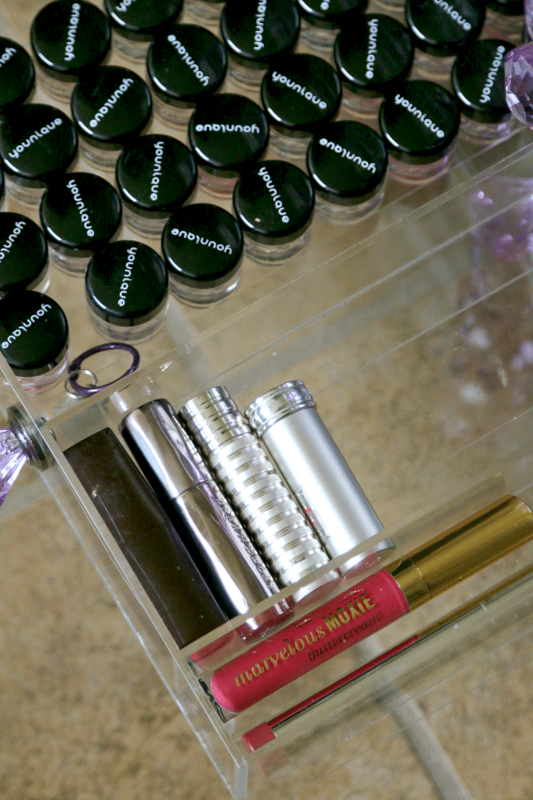 Home » Lifestyle » Campaigns » Organizing My Makeup- Finally! I love makeup and hair products. I know you know that about me, after all I used to sell Younique and I am always telling you about the newest coupon to get beauty products. While I would say I am finicky about some products, I am more often someone that loves to try it all. 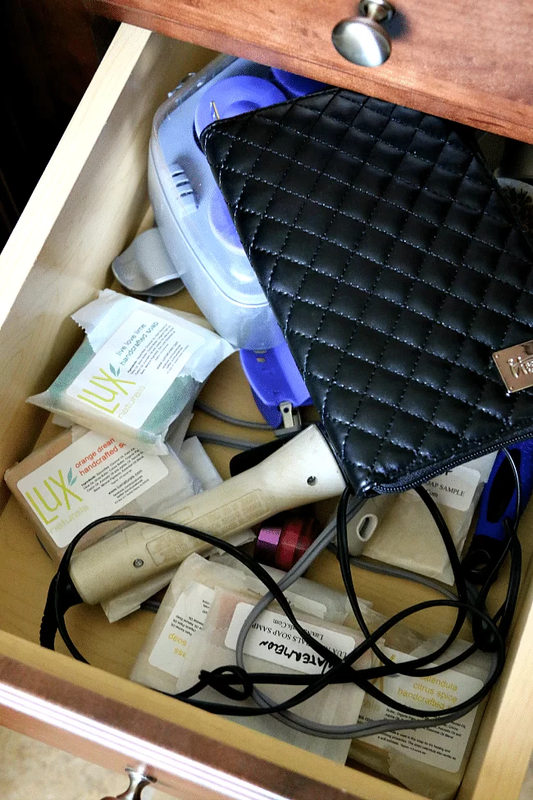 The problem is that I am really, really, REALLY bad at keeping my beauty products organized and as a result, my drawers are super messy. There is powder, concealer and mascara on everything and I am constantly thinking I am out of items- so I purchase more. This weekend I actually went to Ulta and purchased a brand new makeup brush set (which I love so its not that) because I thought I didn’t have any brushes. I think you will see below once you see the after, I was not only wrong, but dead wrong. I had them- they were just hidden in random places around the bathroom. 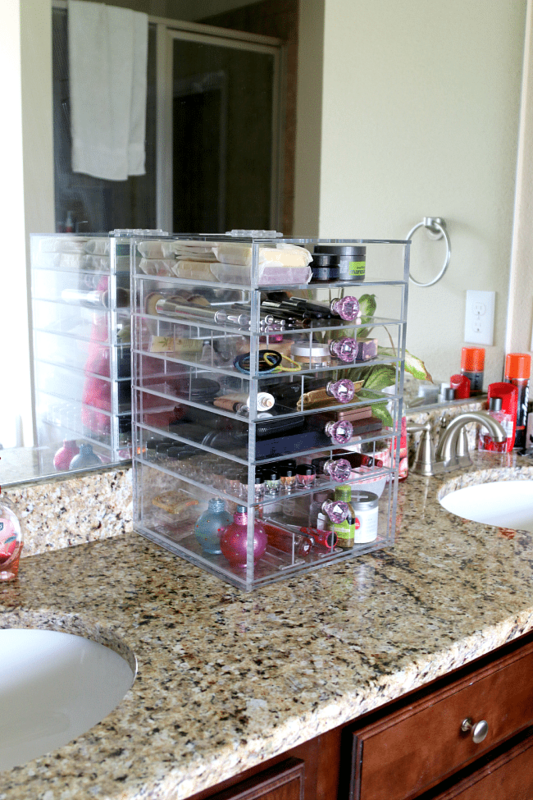 Now recently one of my friends had told me about this great acrylic makeup and bathroom organizer, so when TwinLilies contacted me about their US made product, I was really excited! 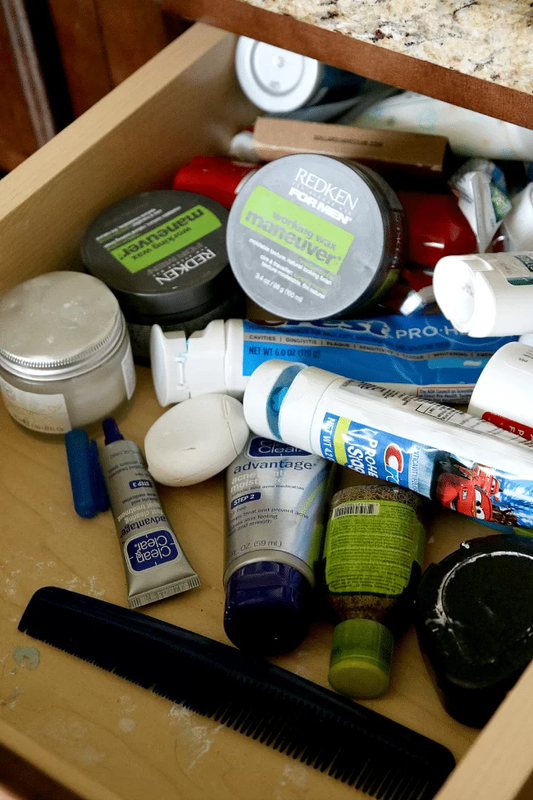 I wanted to definitely see if it could put some organizing into my life and help me salvage some of the beauty products I buy. 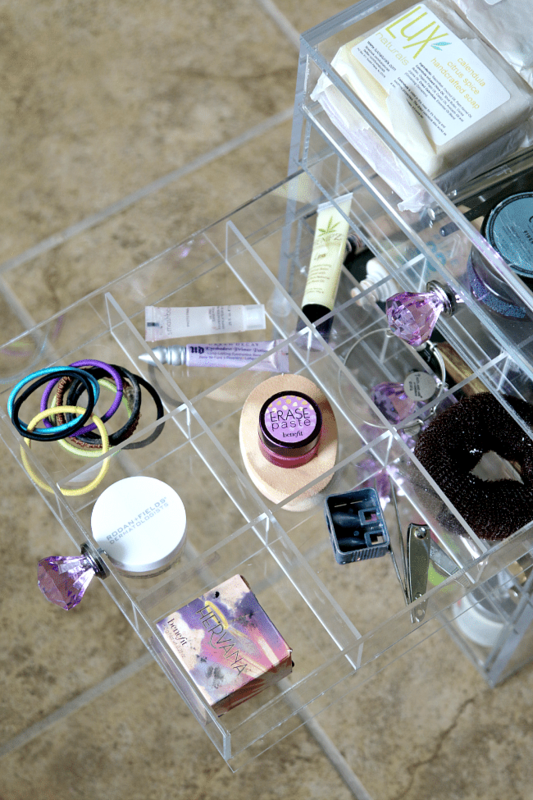 Now lets learn more about the TwinLilies acrylic makeup organizer, the Cutie Cube! The box arrived very well packaged and had so much bubble tape around it to keep it safe, I was actually unsure what it was till I opened! The handles were turned in and took about a minute to unscrew them and put them on the outside. The Cutie Cube (Luxe) is the embodiment of these values. With its’ clear acrylic design and deluxe diamond handles it offers an elegant and effective solution for storing and organizing your cosmetics collection. Our Cutie Cube (Luxe) organizer is the perfect organizational solution for your sophisticated tastes. It’s everything that makes our standard Cutie Cube great but with extra flair and included accessories. With its’ see-thru acrylic design and premium diamond handles it makes finding what you need to get ready both easy and convenient – saving you time and frustration. 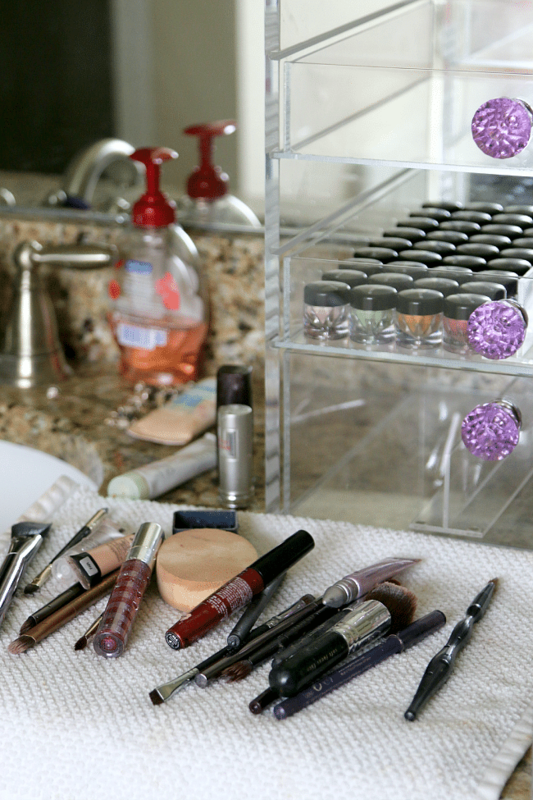 No more fumbling through drawers and rushing a botched makeup application. 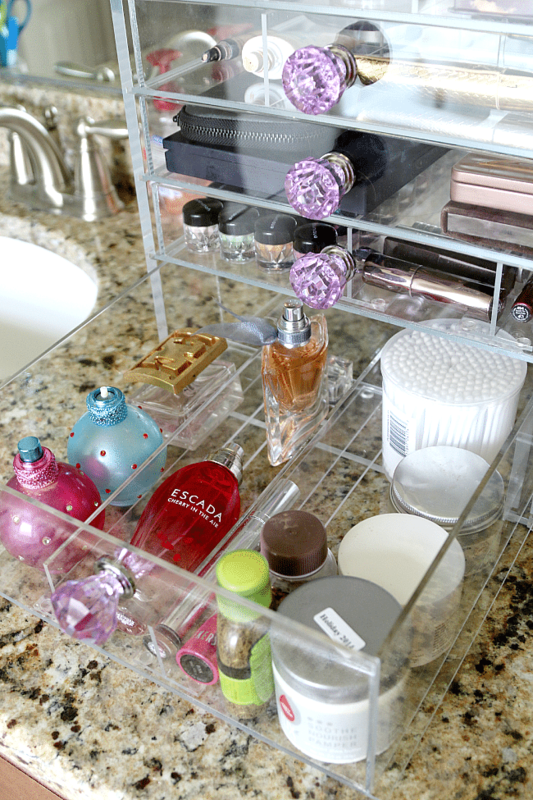 Once you’ve used one of our organizers you’ll never want to go back. TwinLilies has several sizes of organizers. 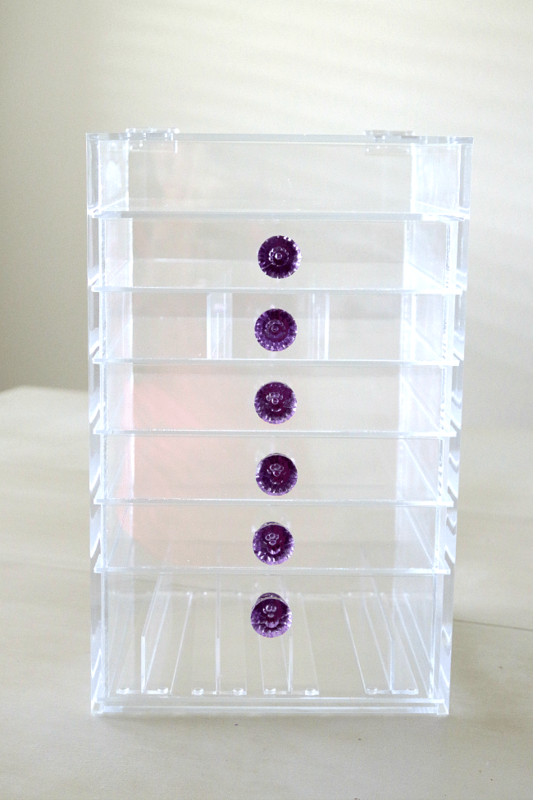 There are 5, 6, and 7 tiers and you can purchase a variety of dividers as well depending on the makeup you have. Handles currently come in a variety of colors like diamond (clear), purple, and pink. I am hopeful to see a teal in the future. Because I was reorganizing my bathroom, I took the time to clean up all my makeup brushes and wipe down a lot of the misplaced makeup from just jamming it inside bags and drawers. I personally use good old fashioned dawn. 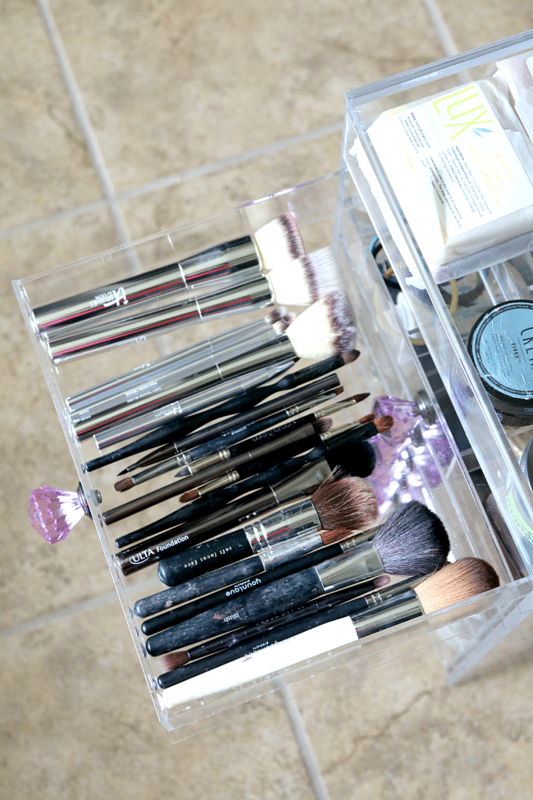 Here are the instructions to clean your makeup brushes (#6). How did it look after I was done? I think pretty snazzy! 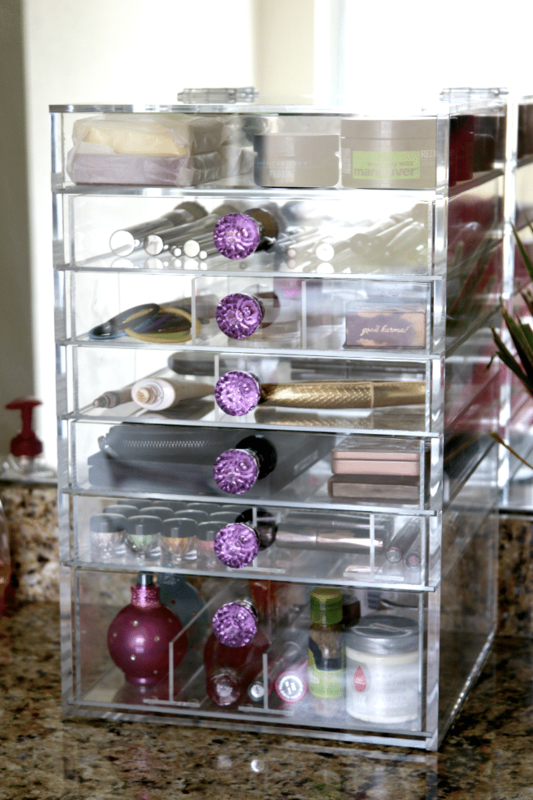 The clear organizer helps me see immediately where items are and I was able to set up the dividers how I need them. I made the top, which has a lid opening, my spouses (since he is the tallest!). If you are interested in keeping your bathroom beautiful and your makeup as clean as the day you bought it (so you don’t overspend like I do! 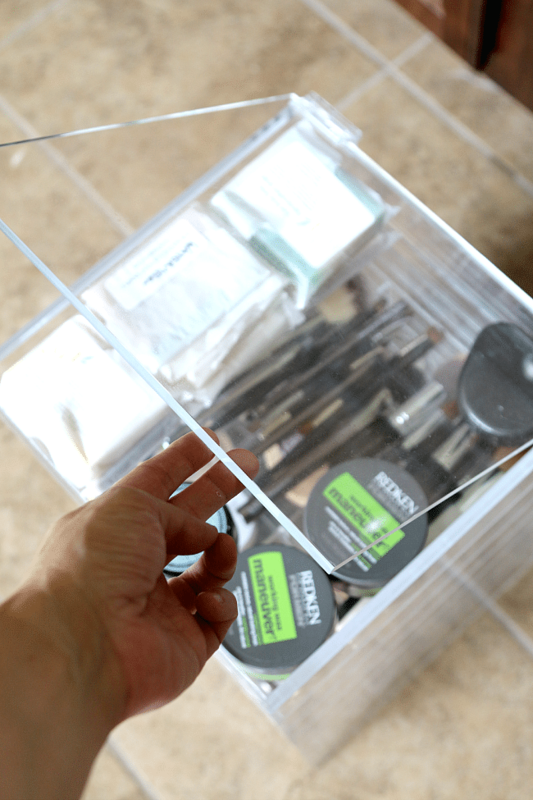 ), you can purchase your Clear Acrylic Makeup organizer here and keep up with all new handle colors and dividers, by following on Facebook, Twitter, and Pinterest. Very fancy! This would be perfect for my new makeup office. We just moved into a new house and I have a double walk in closet, so I made the second half a makeup office! So much more organized and prettier than before. I don’t have that much makeup but I know a little girl that would love these for her Rainbow Loom things! You dont even think about it till you go to organize it and then I was like…oh. I guess this is ridiculous.